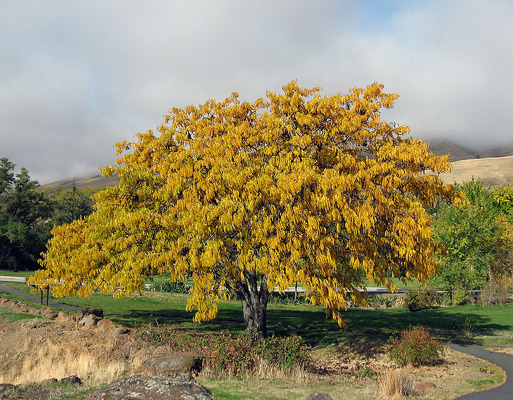 'Sunburst' is smaller in stature than the common Honey Locust. In spring, the entire tree is a golden yellow with new growth. As the foliage ages it turns green, but the tips of the growing branches remain yellow. Leaves are alternate, pinnately or bipinnately compound, 6" to 8" long, with 20 to 30 oblong-lanceolate leaflets, 1/3" to 1 1/2" long, 3/16" to 5/8" wide. It has a moderate to fast growth rate.